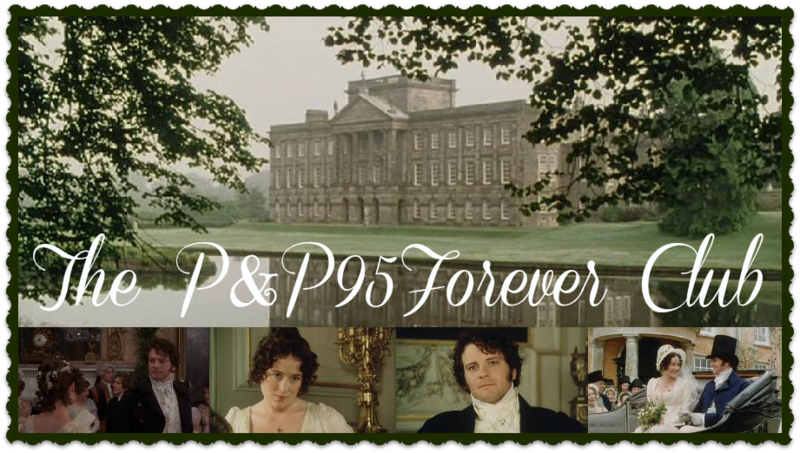 The P&P95Forever Club: Yuletide Contest Winner! Congratulations to her and her writing muse. :D Here is her story in its entirety, for your enjoyment. 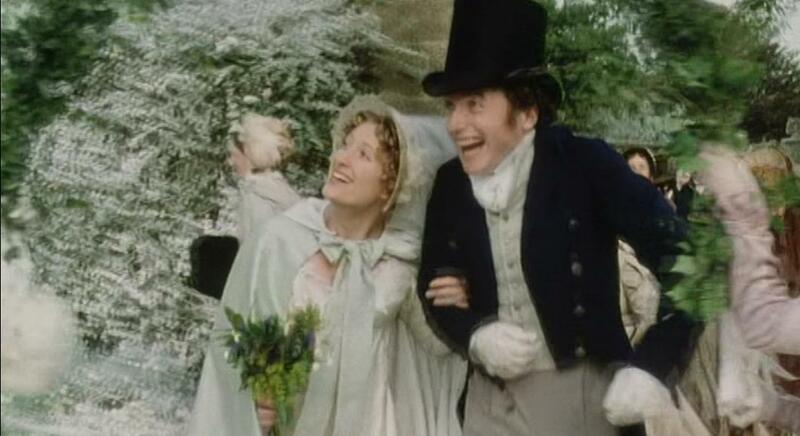 It is not to be expected that Mr. Darcy would enjoy a Christmas similar to the Bennets. Frequent entertainment did not amuse him and since his sister readily fell in with his plans, it was easy to persuade her to spend a quiet Christmas at Pemberley with him. Lady Catherine de Bourgh's command to spend Christmas at Rosings went unheeded but both Darcys warmly welcomed Colonel Fitzwilliam to stay for a fortnight. Georgiana, who had not been in her joint guardian's company since November, eagerly called on him to share all his news. Colonel Fitzwilliam disclaimed knowledge of any important events occurring in Derbyshire but was able to recollect that Henry Sempill had enlisted into the army and his mother, Mrs. Sempill, felt herself to be very ill used. “That's too bad of you, Darcy. Too smoky by half!” He would have continued in this vein but seeing Georgiana's worried look, desisted. Darcy made no reply to his comment and there was a brief silence. It was fortunate that the butler appeared and announced dinner at that moment, before any embarrassment could be felt between the parties. Whilst Colonel Fitzwilliam's natural talkativeness was unabated, Georgiana's timidness and Darcy's reserve made it a quiet meal. The turkey was duly admired and the plum pudding praised but beyond that, the conversation did not proceed. However when Georgiana retired to the drawing room after dinner whilst the gentlemen drank their port, the Colonel returned to his original subject. “Well,” Colonel Fitzwilliam said as he placed his empty glass on the table, “It seems you are a most loyal friend, indeed, Darcy. I only hope you will be as helpful to me if ever I am in such a situation.” The last sentence was spoken laughingly and both gentlemen rose from the table in a good humour. , was the main day of celebration to be marked with plenteous cakes and other baked foods of a goodly sort. “And where have you hung the mistletoe?” Colonel Fitzwilliam inquired of Georgiana when he entered the drawing room. His teasing was taken in good humour by Georgiana for although shy, she was also a good natured, amiable girl and eager to please. The mistletoe – hanging from the mantlepiece strait in front of the Colonel – was pointed out and he was obliging enough to salute her on the cheek. These formalities disposed of, the rest of the evening was spend in a pleasurable fashion playing spillikins. The party broke up shortly after eleven o'clock when Georgiana professed herself to feeling tired. The Colonel retired soon after and Mr. Darcy was left to solitary contemplation. Colonel Ftizwilliam would have found great interest in his thoughts for they turned to the “fine eyes” which he had mentioned earlier that evening and then to the possessor of those eyes. Such thought was dangerous for her connexions were undoubtedly objectionable and matrimony must be out of the question. He would resolve to think of her no more, a resolution which should be easily kept as they must never meet again, now that he had quit Hertfordshire. How many such resolutions have been made and how few of them are kept! 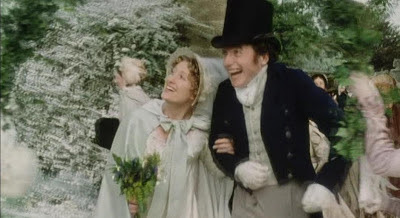 Mr. Darcy had no inkling of Elizabeth's forthcoming trip to Kent, at a time which would coincide with his and Colonel Fitzwilliam's own journey to Rosings. It was in this state of ignorance that his firm resolve was made and being quite decided, he was able to snuff out the candles and retire to bed, thus concluding Christmas day at Permberley. Congrats, Apple Blossom! Very good job! Any more games anytime soon? What about the winners of the double caption contest? I will admit, we have been rather negligent of this blog lately, and I apologize. We are hoping to get back to some regular blogging soon, perhaps wish some series other than games for a change of scene, so to speak, but it's likely we'll get back to doing games at some point. As to the caption contest, I think there were only two entries or something and one of them didn't particularly stand out more than the other. Sorry about that! Oh yes... I LOVE this blog and always anxious for the new things you put up!! Have I grown, or is it he who has shrunk?